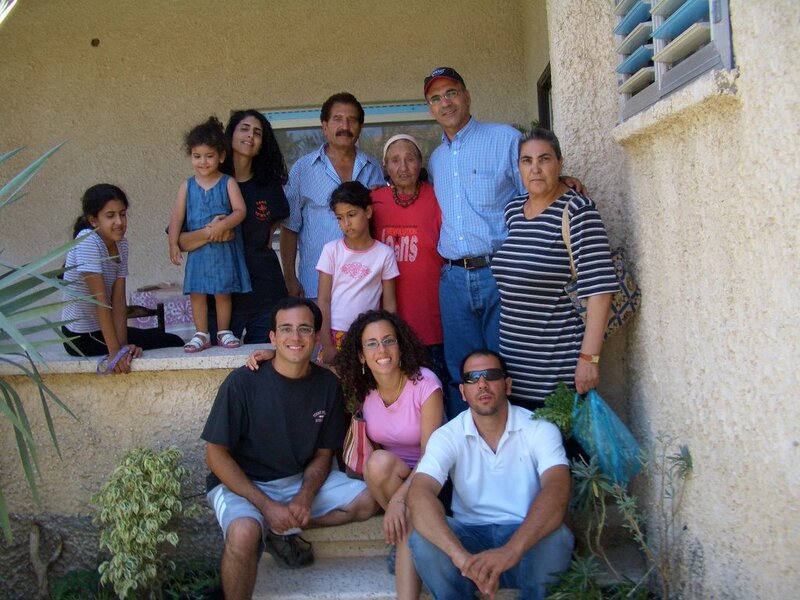 Today my dad, brother (Ofir), aunt (Rachel), cousin (Yuval) and I went to go visit my dad's aunt "Miriyam" in "El Yachin", a predominantly Yemenite settlement where my great grandmother z"l used to live. My dad's side of the family is Yemenite, and I always love going over to my dad's aunts' houses, because not only are they the sweetest women in the world, they always have stories to tell and lots of yummy home cooked Yemenite food to eat. 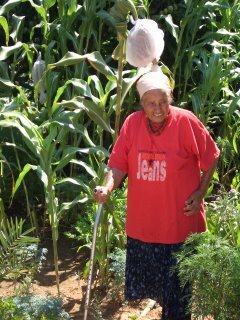 Most older Yemenite women I know have a garden that they are proud of. They like to water their plants and sit outside. 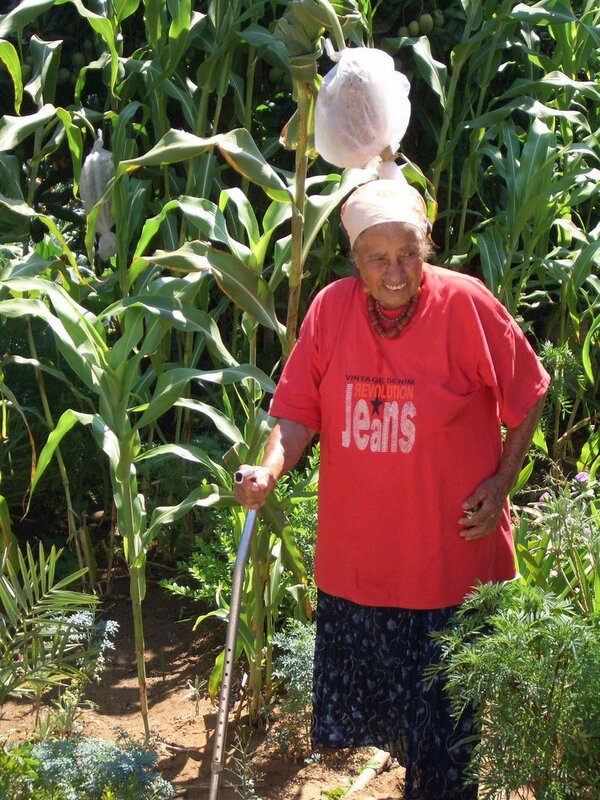 It's beautiful to see how carefully they tend to the vegetables and fruit they grow (and the men always make sure that the "Gat" is carefully tended to as well). Then, we went in and my aunt (whether or not she is actually our aunt, we all call her that) started setting the table. None of us were hungry, but, of course that never matters: when you enter a Yemenite home you have to eat. My dad told me once that it's because they didn't have much food growing up, so they want to make sure that we eat when we can. 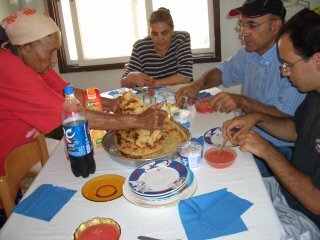 As soon as the delicious, home made "melawach" (delicious layers of fried dough...go to an Israeli restaurant and try it out, or, even better, make a Yemenite friend) was put on the table, we all knew we were doomed; there was no way we could resist. While eating, 6 little kids ran into the house. They all kissed Miriyam one by one saying "hi savta" ("grandmother" in Hebrew) as she urged them to sit down and eat. We then went outside and Miriyam told us stories about her aliyah (immigration) to Israel. These trips always make me realize the importance of family and of tradition. Nothing makes me happier than meeting tons of cousins I never knew I had, eating home made traditional food with them, and hearing stories about my family's beginnings in Eretz Yisrael.